Drug addiction usually begins as a recreational habit as the individual uses drugs in social settings. It is a progressive disease, meaning that with time, the individual will present an increased tolerance to the drug or drugs, engage in risky behavior more frequently, and experience intense withdrawal symptoms and cravings when off the drug. Even though each drug will have its own physical effects, abused substances all have one common factor: repeated usage can change brain functioning. This refers to recreational drugs and commonly abused prescription drugs. Taking the drug will lead to a rush of dopamine hormone within the brain, triggering pleasurable feelings. The brain will remember these feelings eventually and it will want to have them repeated. When a person becomes addicted to a certain substance, this substance will have the same importance as survival behaviors such as drinking or eating. These alterations in the brain will affect the person’s ability to feel normal, control his/her behavior, practice good judgment, and think clearly without the drugs. Regardless of the type of drug one is addicted to, the irrepressible urge to use will increase becoming more significant than anything else be it one’s own happiness, health, career, friends, and family. This craving for the drug or substance will become so strong that the person’s mind will look for all sorts of ways to rationalize or deny this addiction. The individual might greatly underestimate the amount of drugs he or she is taking, the impact it is having on their life, and, the degree of control they have over their drug use. Addiction can manifest itself in various ways, as there is a difference between addiction and physical dependence on a drug. Addiction disorders are typically referred to as conditions whereby the individual takes substances that initially create feelings of pleasure but whose gradual use becomes a compulsion. An addiction disorder usually affects almost every aspect of the person’s life including health, relationships, school, or career. Most people with a substance addiction do not understand the extent and effects of their problem or that they even have a problem at all. Experts emphasize that an addict’s behaviors are not caused by a lack of strong character or morality. An addict’s behavior is instead about a disease which is a mental illness. When a person exhibits the behaviors of an addict, they will keep using the substances regardless of the consequences. If the person goes without the proper treatment and intervention, their addict behavior is likely to continue. Despite the fact that substance addiction is classified as a mental illness, this does not mean that it is easy for loved ones to deal with the behavior of an addict. There is a difference between drug addiction or drug abuse and regular drug use. Few drug addicts are capable of noticing when they have crossed this threshold into a more serious problem. Even though the amount of drugs consumed and the frequency do not necessarily make up a drug addiction, they are usually signs of drug-related problems. You may find that the drug helps you fulfill an important need in your life and as such, you will find yourself depending on it. The individual may start taking illegal drugs to feel more confident, energized, or calm. You may start abusing drugs, specifically prescription drugs in order to enhance your concentration at work or school, deal with panic attacks, or relieve pain. If you are using drugs to help you fill a specific void present in your life, there is a higher risk of crossing from casual drug use to addiction. When people usually take drugs for the first time, it is often with acquaintances and friends in social situations. They may feel the strong urge to fit in with a certain social circle and feel that they can only do this by doing drugs. As the person’s drug use increases gradually with time, his/her problems can catch up on them. Taking drugs when you have a headache, taking ecstasy during a rave, or smoking weed with friends can change from using a couple of days a week to using every day. Getting the drug and using the drug becomes more and more important. When this happens, you might become frequently late for school or work. Your job performance will deteriorate progressively and you might start neglecting family or social responsibilities. The affected individual’s ability to stop using the drug will become compromised eventually and what started off as a free-willed choice now becomes a psychological and physical need. Drug use can eventually consume one’s life and stop intellectual and social development to further the feelings of isolation. 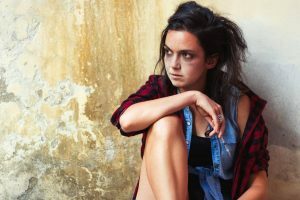 Drug addiction can alter the person’s appearance and sometimes this change can give off a warning sign to family members and loved ones that there may be a lingering addiction under the surface. Sometimes these radical changes caused by addiction can alter the afflicted person’s behavior and such changes can be a cause for alarm for the family. Dealing with an addict’s behavior can be both frustrating and scary not to mention it can make their loved ones feel helpless and sad. One of the primary defining characteristic behaviors of any drug addict is lying. Lying can be a part of a drug addict’s behavioral pattern for various reasons. Firstly, addicts lie because they need to cover up after their nefarious behavior. An addict will frequently have to lie in order to cover up when they were using drugs or where money has gone. For anyone dealing with the behavior of a drug addict, the first sign of a problem should be when you notice that the person is overly lying. Another typical characteristic behavior of a drug addict will be manipulation. An addict will often do and say anything it takes to keep them feeding their addiction including the manipulation of their friends and loved ones. Such a person can resort to tactics such as denial or guilt to execute this manipulation. Someone who loves the addict will frequently fall for the manipulation and delusions served up by the individual because they badly wish to believe what he/or she is saying. Drug addicts will keep manipulating those closest to them repeatedly and it can continue even for years without the addict showing any signs of changing his/her addict behavior. 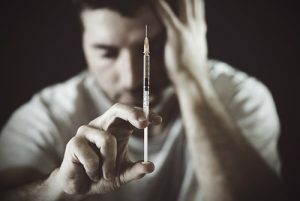 A person with an addiction will have a physical need for the substance he or she is taking, which is why it is understandable that they engage in such risky behavior. Addicts may also show a lack of any impulse control and they may get ideas that seem sound to them but are clearly not. An addict usually does not want to take responsibility for his/her own behavior so they frequently try to shift the blame away from themselves. Addicts want things to be other people’s fault no matter what it is. Drug addicts usually establish unhealthy friendships or relationships. When the individual starts using drugs or new substances, he or she might start spending more time with other people sharing the same habits. They might also start hanging out with new groups of people who might promote their unhealthy habits. Drug addicts may typically isolate and withdraw themselves and hide their drug use from loved ones. This may be because of increased paranoia, anxiety, or depression caused by their drug addiction or perceived stigma. Addicts also tend to have an abusive behavior towards those dealing with them frequently. The abuse can be verbal or physical. It is not because the person is inherently bad, but usually it is because they might regard non-existent threats, as they do not live in reality. An addict will display the increased need to seek privacy. Seeing as people with addictions like to lie or steal to obtain drugs, you will find an addict hiding their drug abusing behavior from any authority figures in their lives. Therefore, it is common to find that anyone with a drug addiction often has the prevalent need to stay alone. An addict might spend hours locked in his or her room or the bathroom as he or she tries to feed the addiction. Addicts are often very moody, reason being a majority of addictive drugs will act on the pleasure center in the brain and this can make anyone taking these drugs to experience a euphoric feeling whenever they indulge in drug use. The bad news is that research shows addiction may cause damage to the regions of the brain responsible for dealing with pleasure and reward. A brain with such alterations might be incapable of getting pleasure in the absence of the drug of choice. This means that a person with an addiction can oscillate between periods of great joy and depression with the moment of drug use as the only thing between both states. Someone who comes in an upset mood and comes from alone time when in a better mood might have a substance addiction. Everyone gets cranky at some point in time particularly when things do not go as they had planned. People with drug addictions, on the other hand, can at times acquire alterations in the regions of the brain responsible for impulsive making them explode with anger frequently. Research indicates that people with drug addictions presented significantly greater scores on anger tests not to mention they had low anger-control scores. Such people may scream or lash out with acts of physical violence and the main thing to blame is their drug addiction. 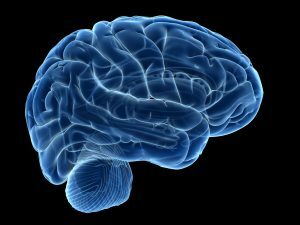 As the addiction continues to grow in significance in the individual’s brain, it ends up becoming the only focus in his or her life. Such a person might not attend to work or school responsibilities, visit his or her family members, or even socialize with friends. All their free time will, instead, be dedicated to drug use and this means they will have less time to devote to other activities that can make their lives wholesome. Excessive consumption is another characteristic of an addict that might seem obvious but an addict rarely realizes that he or she is excessively consuming a substance. This is usually because the person is in denial that there is a problem. For this reason, it is crucial that anyone close to an addict is capable of detecting the increased consumption. Alcoholics, for example, find it especially hard to hide their drinking because it gets to a point where it is so frequent and prevalent even to other casual observers. The main characteristic of any addiction is that it will manifest itself in a manner such that it becomes noticeable so that those people close to the addict will notice if they are paying close mind. Withdrawal and cravings are another common behavior to look out for in a drug addict. A drug addict will go from simply wanting to take drugs for the sake of it to needing drugs in order to feel well. If this need is not addressed, the individual will start experiencing withdrawal symptoms only hours from his or her last dosage. Symptoms of withdrawal may include nervousness, extreme anxiety, muscle cramps, nausea, headaches, weakness, shakiness, increased heart rate, insomnia, or panic attacks. A person with a drug addiction will also experience a deep shame because of being incapable to stop using. They will also feel guilty about the pain they are causing their loved ones because of their behavior. The extreme point of addiction usually causes the individual repeatedly abusing drugs to start losing touch with reality such that medical intervention will be needed. You will find a drug addict frequently in some kind of financial trouble as he or she will spend a lot of money even to the point of draining their bank accounts and spending outside budgets to obtain the drug of choice. This is one significant red flag. We know that general moodiness can be a frequent occurrence in the teen years and during adolescence. Drug use in adolescents is typically indicated by more extreme behavioral or mood changes in this age bracket. Indications of adolescent drug use include acting hostile, depressed, tired, or withdrawn. Whenever a child begins associating with another group of peers, parents should make a note of it because differences in peer groups can be connected to substance abuse. Adolescents who are using drugs can also change their sleeping or eating habits, skip school, or miss classes. Parents should also listen for use of slang for specific drugs of abuse in their children. Immediate intervention is crucial if parents suspect drug use in their children. Parents can get help from drug abuse treatment providers, primary care physicians, and guidance counselors. An addict’s behaviors can be unpredictable and scary for those who have to deal with it. So how do you go about it? It is first important to realize that you are not responsible for the addict’s behavior regardless of the type of manipulation they might employ on you. It is equally important to get a sense of the reality of the situation when getting to know about an addict’s behaviors. You should not allow yourself to be pulled into the addict’s fantasy world because after accepting the reality of the situation, you will be able to deal with the addict’s behavior through the establishment of boundaries. Boundaries are not only essential for drug addicts but for the ones dealing with them as well and their well-being. It is important to be consistent, concise, and clear when dealing with a drug addict. It is also helpful to realize that you will not be able to change the addictive behavior in the person. You can plan an intervention, remain firm with your boundaries, and try motivating the addict to get the necessary treatment. It is not possible to change addict behavior or the addict regardless of how much effort you put in. It is important to learn that when you are dealing with a drug addict’s behavior you need to be very committed such that you are not enabling them and to keep you from giving in to their manipulations. Addicts do not like being told no so when you are committed to saying it, you will be in a better position to deal with the addict’s behavior. Last but not least, it is important to focus on self-care instead of focusing on changing an addict’s behavior. Self-care is not a show of selfishness but rather it is a way of making sure you meet your own needs in the event that these destructive behaviors of the addict start showing. When a loved one is suffering from a drug addiction, the family members and friends will often feel hurt and betrayed. They will see the person’s dependence on drugs and their actions and lose trust in them in addition to feeling betrayed. They will find it difficult to see that addiction is a disease that changes their brain chemistry, thus the strong compulsions in their behavior. According to research, people suffering from addictions do not see how damaged their lives have become because of it. it is difficult knowing how to deal with any relationship with a person suffering from an addiction. It usually feels as if everyone but the addict feels the pressure to deal with the situation. This means that everyone involved will be in pain, as the addict will abuse both loved ones and himself/herself. If loved ones suspect drug use in someone, it is important to intervene early to give them a good chance of ever recovering successfully. Family members and friends can stage an intervention when the signs of drug use become apparent in someone. A professional drug interventionist can be included in the planning and execution to get the ideal results. The person’s loved ones must research on treatment programs for addiction to ensure the problem is addressed accordingly. The treatment must include therapy and detox to help in dealing with the underlying problems connected to the person’s drug use. Someone who is struggling with an addiction will typically deny the fact that their drug use is a problem and as such, will be hesitant to look for treatment. An intervention gives the addict an efficient opportunity to make the necessary changes before things become even worse and it can also give them the motivation to seek help or accept it. It is important to plan an intervention very carefully. The addict’s friends and family with the consultation of a drug and alcohol counselor or a doctor can conduct the intervention. An intervention professional can also direct the session. An intervention may involve clergy, co-workers, friends, family, or anyone else who cares about the person with the addiction. These people will come together during the intervention to have a heartfelt and direct conversation with the addicted individual regarding the consequences of their addiction. They will also ask the person to accept the necessary help and treatment.